Abbey Road zebra crossing listed Jump to media player The Abbey Road zebra crossing in North London - made famous by a photograph taken for a Beatles album cover - has been given a Grade II listed status. 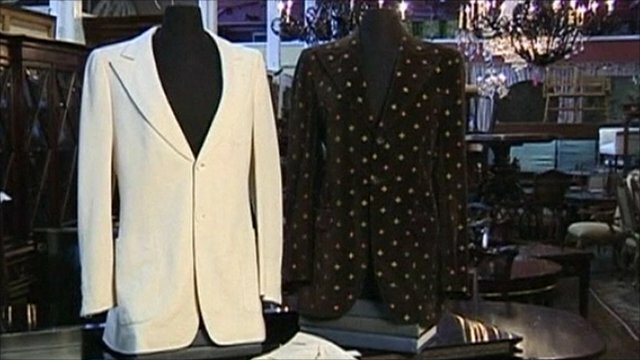 John Lennon's 'Imagine' suit for sale Jump to media player The white suit worn by John Lennon on The Beatles' Abbey Road album cover is to be sold at auction in the US. 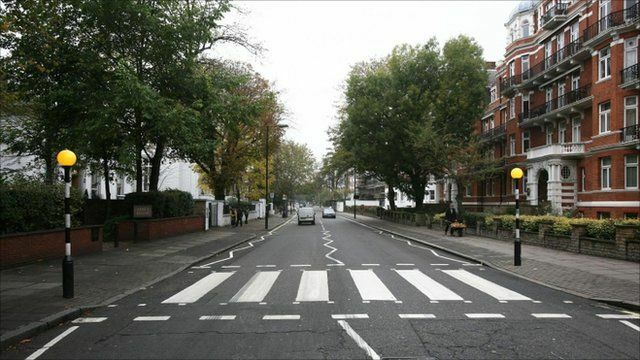 The Abbey Road zebra crossing in North London - made famous by a photograph taken for a Beatles album cover - has been given a Grade II listed status. The iconic photo of the Beatles on the crossing outside Abbey Road Studios was taken in August 1969. The crossing has become a place of pilgrimage where people re-enact the image of the Abbey Road album. Roger Bowdler from English Heritage said the crossing was a worthy listing for its cultural interest. John Walker from Westminster Council said the crossing's protection was very important.